Superhero franchises may rule the multiplexes, but San Francisco's smaller theaters offer moviegoers an array of classic and independent options. This week, catch a host of films around the city, including a breakout performance by a young Dustin Hoffman, a French coming-of-age masterpiece, and a midnight screening of "The Room." An unexpected bond develops between two small-time hustlers living a marginal existence in the brutal grit and grime of New York City. An Oscar-winner for Best Picture, Director and Screenplay, John Schlesinger's heartbreaking, superbly acted film boats knockout turns by Jon Voight and Dustin Hoffman. "Midnight Cowboy" plays at the Castro Theatre (429 Castro St.) tonight at 7 p.m. Tickets are available at the box office. 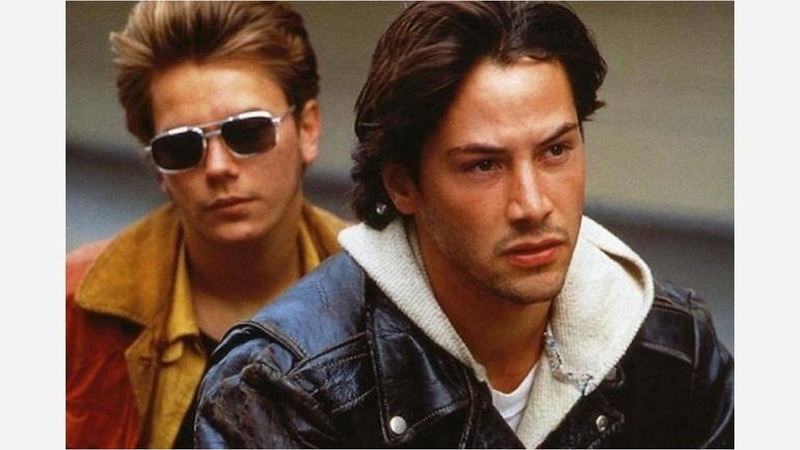 River Phoenix is stellar as Mike, a narcoleptic street kid who heads to Idaho, then Italy, in search of his mother; Keanu Reeves is equally fine as Scott, a slumming rich kid in search of himself, who joins Mike in his quest. Gus Van Sant's dreamily beautiful indie opus boldly reimagines Shakespeare's Henry IV in the milieu of Portland, Oregon's street hustlers, with William Richert's scuzzy Falstaff a standout in a supporting cast that includes James Russo, Grace Zabriskie, Udo Kier, and Brian Wilson. "My Own Private Idaho" plays at the Castro Theatre (429 Castro St.) at 9:05 p.m. tonight after "Midnight Cowboy." Tickets are available at the box office. Assayas' 1994 breakthrough feature was made for a French television series that commissioned nine directors to make a film about their youth using music from the period. Drawing from his own youthful experiences and set in suburban Paris in 1972, this cruel story of youth follows two troubled teen lovers, Gilles (Cyprien Fouquet) and Christine (an 18-year-old Virginie Ledoyen), in the disillusioned aftermath of May '68. Unavailable for decades, this deeply felt coming-of-age drama at long last makes its way to The Roxie. "Cold Water" is playing at the Roxie (3117 16th St.) at 7 p.m. May 9-10. Get tickets here. A midnight screening sensation, "The Room" became a cult film "due to its bizarre and unconventional storytelling, technical and narrative flaws, and off-kilter performances," according to Wikipedia. James Franco won a Golden Globe for his portrayal of the film's director, Tommy Wiseau, in last year's "The Disaster Artist." Experience it for yourself at this weekend's late-night showings at the Clay Theatre (2261 Fillmore St.); it's playing at 11:55 p.m. on May 11 and 12. Get tickets here.